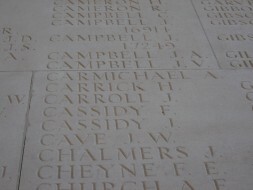 Thiepval Memorial, Thiepval, Somme, France. Francis Cassidy was born 11 August 1886 in Co. Sligo, but his parents and elder siblings were from Longford. The family moved to Glasgow c.1890, where their father worked as a fire stoker: they were living in Govan, by 1901 when Francis was an apprentice at one of the shipyards in the city. Francis married Catherine Manderson in 1907. At the time of his marriage he was living at 19 White Street, Govan, and was working as a high yard labourer in Govan, as was his father. By 1911 they were living at Queen Street with their children Annie and George. Also residing with them was the family of William Manderson, listed as boarders but were likely relatives of Catherine. Francis was working as ship yard rivetter. Pte. Cassidy enlisted in Lanark in September 1914, earning him the 1914 Star (aka the Mons Star). In mid-July 1916, the 1st Cameronians were based near Bazentin-le-petit. On the 19th the battalion was in Mametz Wood, when they got orders to attack High Wood (Bois des Fourcaux), at dawn on the 20 July, where they met heavy German resistence. 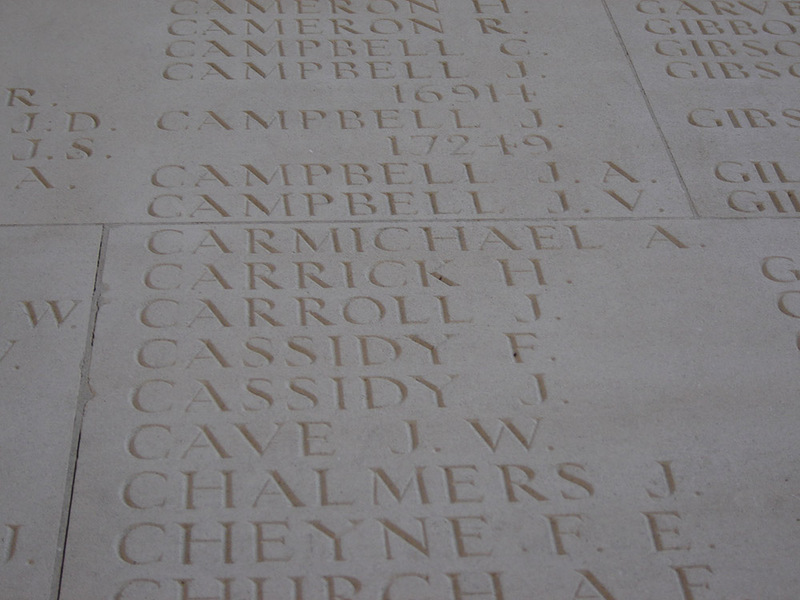 Pte Cassidy was one of 389 men and 18 officers killed or wounded in the battle. *Francis's brother, Robert was born in Killashee Street, whist another brother George was born at the Workhouse. Cassidy's wife, Catherine, remarried. Robert may have also enlisted with the 6th Royal Scots Fusiliers in November 1914 (14944), but was eventually discharged for medical reasons.